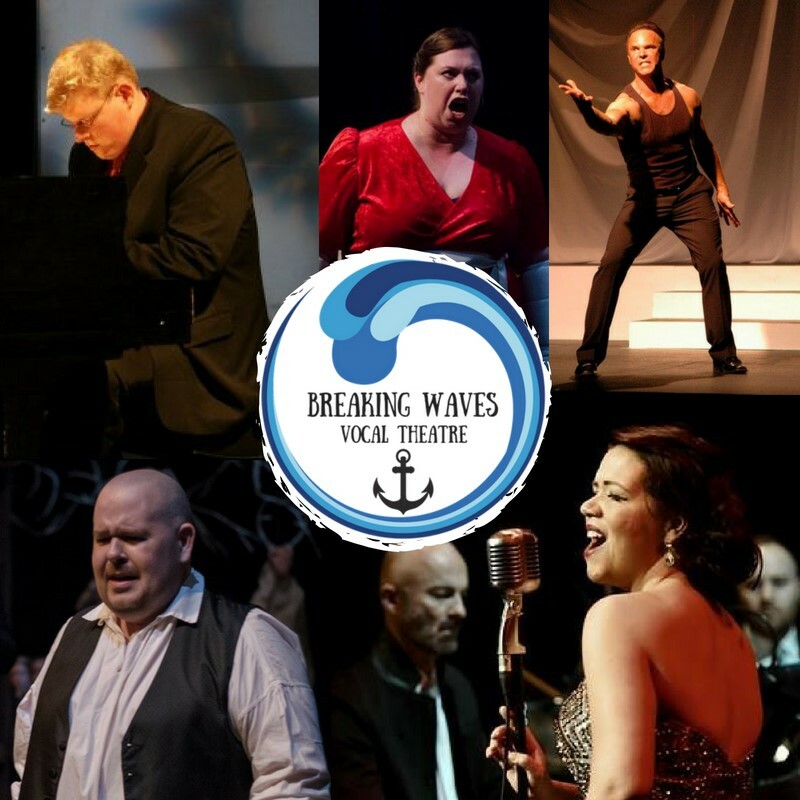 Formed in 2017, Breaking Waves is an artistic collective of some of Halifax’s most popular and respected theatrical singers and musicians. Our performances span across countless vocal genres as we consistently strive to push the limits and artistic expectations of both traditional and contemporary works. We have made it our mandate to produce raw, bold re-interpretations of dramatic vocal repertoire in nontraditional spaces with reduced accompaniment, to focus on the full force and intimacy dramatic vocal theatre allows us to share between artists and audiences. The results provide innovative staged, un-intimidating, affordable and crucially high quality vocal theatre for everyone. 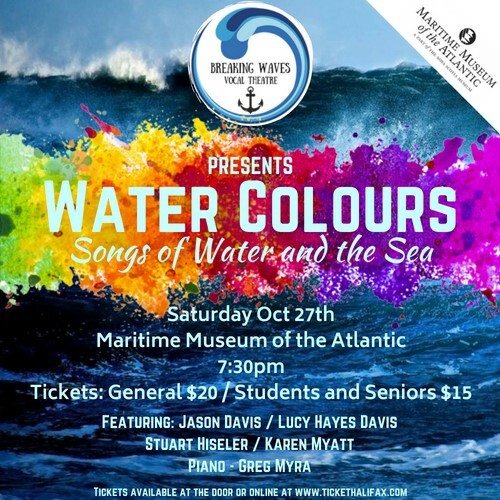 Please join the Breaking Waves Vocal Theatre on Saturday Oct 27th for our one night performance of ‘Water Colours’ an intimate exploration of the imagery and poetry of Water and the Sea through the multi vocal genres of Contemporary, Jazz, Music Theatre, Opera, Lieder and Art Song.